You may see the legislation and calls to action swirling around you regarding vaccines. You may want to share your story, but just don’t know where to start. Talking to a legislator is intimidating, let’s face it. But, hearing from their constituents is the only way a legislator will know what they think, and how they want them to vote. You may think they won’t listen, or they will think that you don’t know what you’re talking about, but realize what they think they know. If you’ve made the decision to delay or to not vaccinate, you surely know more than the average legislator. What they know is what the pharmaceutical companies have told them. Yes, those same old lies you read about online and wonder how someone could really believe that. Yes, they do. 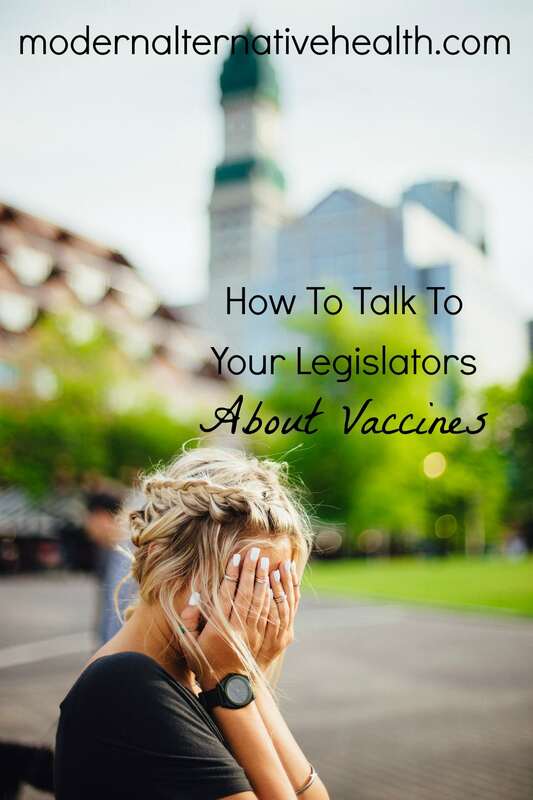 Your job when talking with a legislator is much like when you talk to your friends about vaccines. You must be factual and sure in what you know, and round it out with your personal story. Over time, they start to see the fruit in your actions, the lies in propagating in doctor’s offices, and starting asking questions. It is the same with legislators. So, study up, get your materials together, including the print out below, and make the appointment with your legislator. You can do it! What Are the Big Points to Cover? Share your story. Share your story, including diagnosis, symptoms, and the financial and emotional cost of caring for a child with vaccine injury. Let them know that vaccine manufacturers have no liability. You would be surprised at how few legislators know this. Ask them why this would be, and what other industries allow this? Let them form their own conclusions, you are there to get the questions going. Tell them that the CDC has been accused of fraud. Congressman Bill Posey has asked for an investigation of whistleblower William Thompson’s admission that the CDC threw out data which showed a clear correlation of vaccines and autism. Show them the reporting. Pull statistics out of the VAERS database for their state and region. Many believe that vaccine reactions are “one in a million,” while the data shows otherwise. Display the CDC schedule from years past to today’s. Many legislators are out of touch with the current schedule of 70 vaccines given before age 18, 49 before Kindergarten. 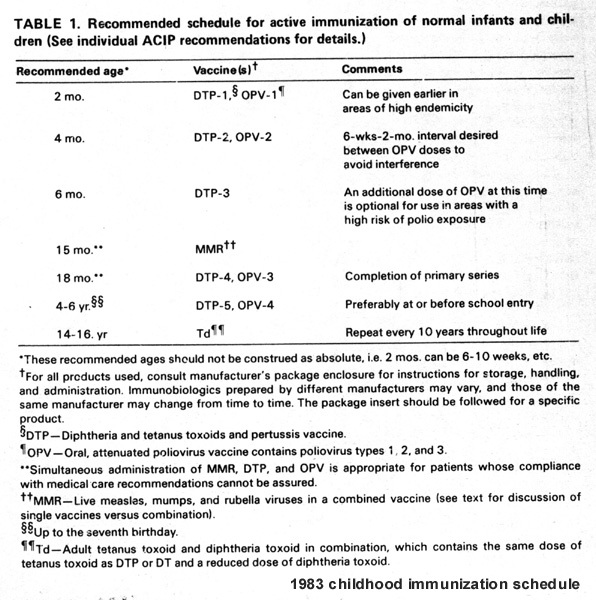 The CDC schedule in 1983 had only 11 vaccines before age 18. Ask them why, if vaccines provide life-long immunity, we need boosters three times. Show them the ingredients. Print out one of the vaccine package inserts and highlight the questionable ingredients, show them how much of an ingredient is given per vaccine. Remind them that doctors are compensated for fully vaccinated patients, and per vaccine given. Doctors are compensated per vaccine given (around $100 each), and per patient whom is fully vaccinated (around $400 per patient, depending on the insurance company). This creates a huge conflict of interest. Explain to them how vaccines are not causing outbreaks. How can children, without the disease, spread it? Explain the different strains of viruses and bacteria in vaccines, and how vaccines do not cover all strains. We are actually seeing outbreaks of the vaccine strain, as well as outbreaks of the other strains because they are becoming stronger as we vaccinate for the limited number of strains. The vaccine program, throwing off the bacterial and viral balance of our bodies, is causing the issues.There are many other topics to cover, so surely add ones which you are well versed. These topics alone will give the legislator much to think about. Be sure to tie in your personal story, personal feelings, and religious concerns, as well as any current legislation in your state. *If the legislative is Republican, Christian, or is pro-life, bring up the vaccines which contain aborted fetal tissue, and ask how these can be mandated on those who are pro-life? Don’t show up empty-handed. Bring our quick Print Out, with your notes added, to be sure you hit your main points. Leave with them the “More Resources” page so that they can look these items up themselves from reputable sources. – Bring your contact information. – Bring studies, research, and articles. – Bring a list of more resources, such as links to the VAERS database and the vaccine injury compensation program. – Bring any local legislation or specific data. Highlight the areas of which you have concern. I wish I could give you a hug, and chat over coffee about our experiences with legislators. This is not easy, and if you don’t like public speaking, you may be terrified. Remind yourself of these tips before you go, take a deep breathe, and look into the faces of those babies you so love. Remember why you are doing this. – Become buddies before you go. Call your legislator and their aide to learn more about them. Google them and see how they vote, and what their stances on. Are you both interested in something? Bring it up! – Set up an appointment when they are in their home office. Catching them when they are home leaves them, and you, much more relaxed. If you try to meet with them when they are in session, their minds may be elsewhere. – Find legislation other than vaccines which you agree on. Look at the legislation which they currently sponsor, or have voted for. Share your opinions with them, and come alongside them to support the legislation. This helps them see you’re a person, not a vaccine-free alien. – Relax. I know this is easier said than done, but remind yourself why you are there, take a deep breath, and talk to this person like you would a friend. Grab our print out, go over what you will talk about, and book that appointment with your legislator! 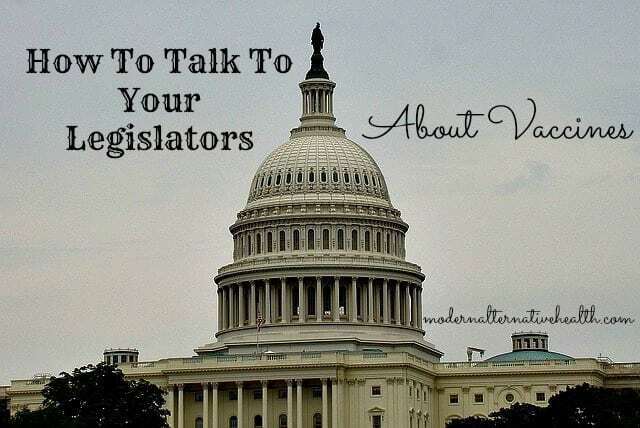 Have you talked with your legislator about vaccines? What’s worked, and what hasn’t? Wow. This has really encouraged me to contact my legislators about vaccines. Very well written, well done article! Thanks! I would add that especially for state legislators the crux of the matter is protecting or establishing vaccine choice in your state. We don’t need the legislators to ‘see the light’ and instantly question vaccine as deeply as we do. We just need them to understand and accept that there are very real risks to vaccines. And that because of those risks, there must be choice. Also taking them copies of Vaxxed can be effective. Thanks for all your do! Stand Up! Speak out! Be Brave!